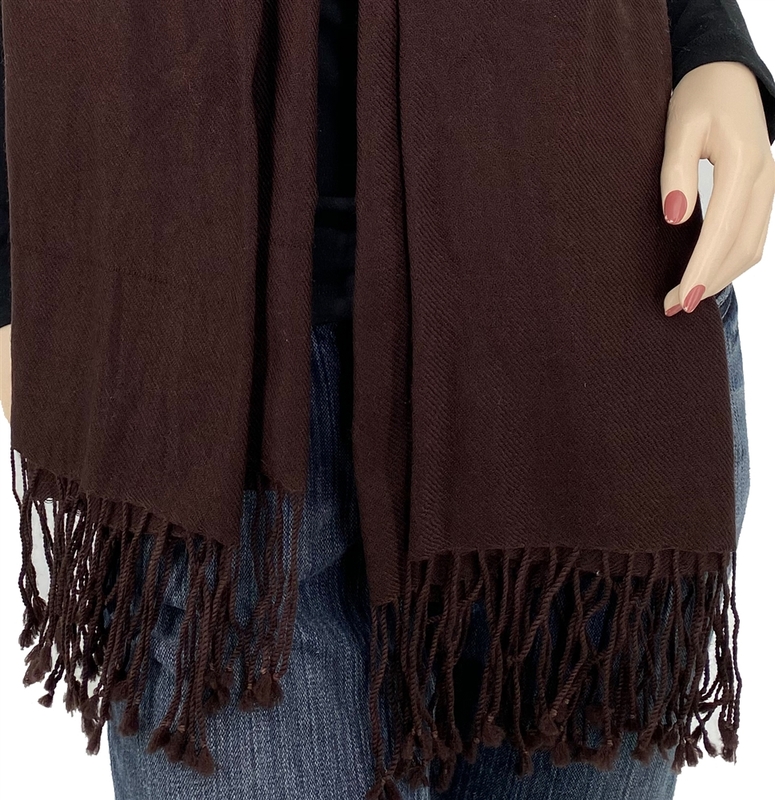 We recently made a special acquisition of a small number of these sheer Dark Chocolate "Ring" pashminas. They feel incredible because of the unique weave and the use of very fine pashmina wool hairs. 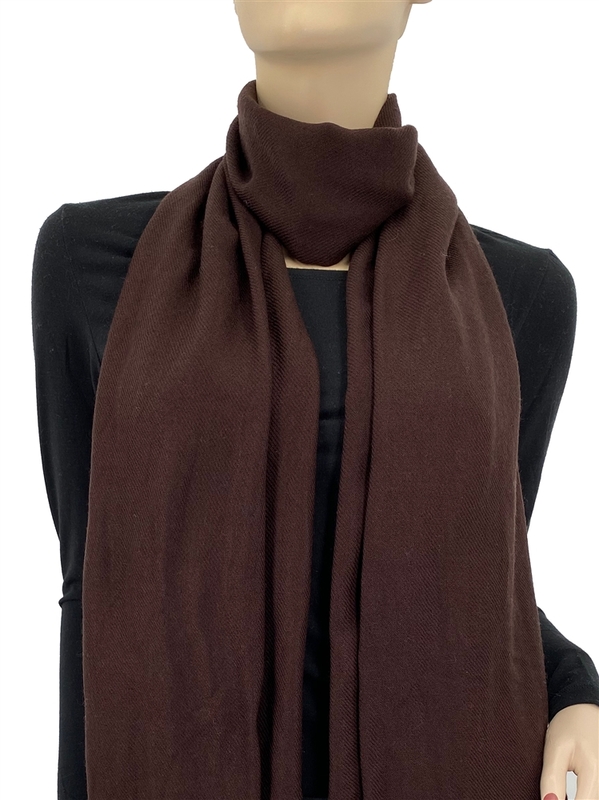 Although I live in Chicago, I do like the lighter pashminas. This one is light without being sheer and flimsy. I like that I can fold it up and fit it in a smaller handbag. The color is nice and dark, so it is good for my needs.